Featuring an outdoor pool, children’s playground and free breakfast buffet, Pousada Vila Do Mar is located only 50 metres from Praia do Meio Beach. Free Wi-Fi access is available. Pousada Olho d' Água offers ocean views, an outdoor swimming pool, free Wi-Fi and free private parking. Located in front of Caolho Beach in Olho d' Água, 12 km from São Luis. Accommodation is practical equipped with air conditioning, TV and minibar. 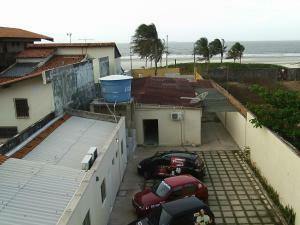 Calixto is a beach front hotel located in Sao Luis. 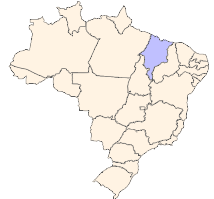 The centre of Sao Luis with shops and cafeterias is 2 km away. Free Wi-Fi in all areas and parking on site is offered. Each air-conditioned room includes a TV with satellite channels. Offering an outdoor pool and a 24-hour front desk, Chalé da Praia Residence is located only 150 metres from Praia do Calhau beach. Wi-Fi and on-site private parking are free. The colorful Santa Luzia Hotel on São Luís Island is 300 metres from Caolho Beach. It features adults and kids swimming pools, free Wi-Fi and a restaurant serving regional specialties.